Birdsall Marine Custom Canvas located in West Palm Beach, Fl. is your one stop for having that custom motor cover or full boat cover or any other covers made for your outdoor possessions. We have over 20 years in designing canvas products, made with the finest materials available. Adding and replacing canvas keeps your boat looking nice and provides essential shade and protection from the elements. Birdsall Marine has a dedicated canvas shop that can handle all your needs. Our canvas department prides itself on quality, durability, fit and finish. We offer choices of sumbrella, weblon, and stamoid all sewn with gortex thread to prevent dry rot from the sun. Only proven material are used for extended life an added strength. A full line of colors are available to match any boat or personal style. From years of experience our canvas shop has mastered fabrication of a complete line of marine canvas applications. Custom patterning and installation are offered to ensure a proper fit. Repairs and zipper replacement are also offered to help boaters keep their products in working condition. 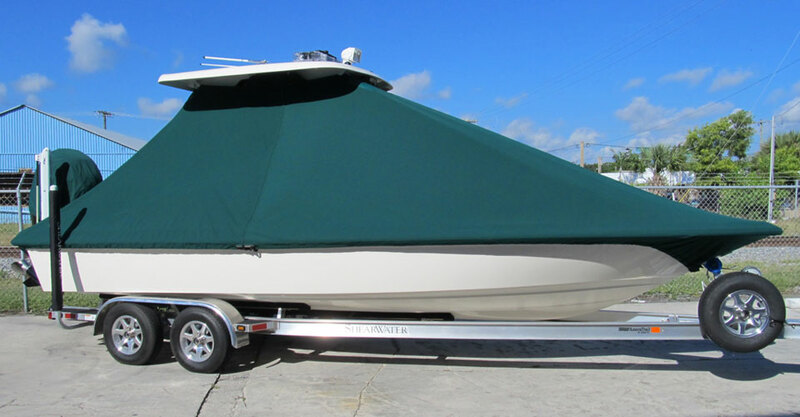 Full Boat Covers, Motor Covers, 3pcs Glass Enclosures, Wing-Out Enclosures, T-Top Canvas, Rear & Forward Shades, Forward Dodgers, Bimini Tops, and Custom Storage Bags & Covers.